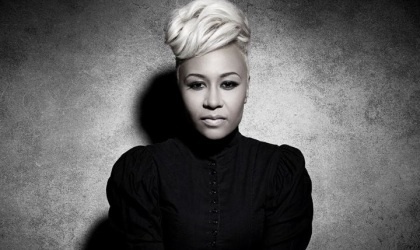 Emeli Sandé has spirit, style and a voice so striking that she has caught the attention of big names in the music industry, like Adele and Jay-Z, after performing at the 2012 Summer Olympics in London. It’s no wonder that she is the next big artist to hit the R&B scene! Sandé grew up in Scotland with her Zambian father and English mother, putting her studies first while listening to jazz artists, like Nina Simone. She grew up singing and playing the clarinet and piano with help from her father who was a choir director. Although receiving a strong education was a priority to her, Sandé has said: “There has to come a point where you take the plunge.” College Gloss is so glad that she has! After moving to London, her debut album, "Our Version of Events," was the U.K.’s best-selling album of 2012, and now her career is about to get even bigger by breaking through the American music scene! 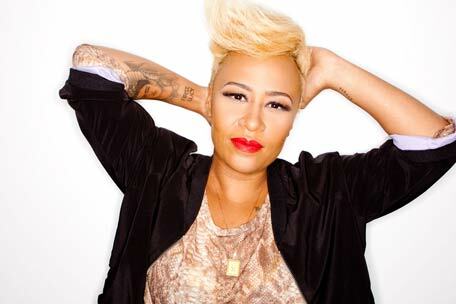 Read on for five reasons why College Gloss loves Emeli Sandé! At 25 years old, Emeli Sandé has more soul and emotion in her work than many other artists can boast throughout their entire career. She was inspired by artists like Joni Mitchell and Nina Simone, and her vocal range is unbelievable. Also, not only can she sing and play piano, she is an accomplished songwriter. Sandé has written for pop artists like Leona Lewis, Cheryl Cole and Susan Boyle. According to Fashion Bomb Daily, Sande wore a floral Dolce & Gabbana dress with a blush pink leather jacket for her 2013 BRIT Awards performance. Emeli Sandé is such an inspiration to CG, and her fan base is growing each day. But, some might be surprised to hear that when she was a kid, she didn’t see herself as a huge star because she was very shy. Instead, she wanted to write songs for artists that people could connect with emotionally. (Little did she know that one day she would be taking on Europe and the R&B scene internationally!) Today, she is married to Adam Gouraguine, and she travels and promotes her music with him by her side. Emeli Sandé is dedicated to her craft, and it is really paying off! Her success has had an impressive start in the U.K. with a No. 1 debut album and winning the “Critic’s Choice” award at the BRIT Awards. After performing at the 2012 London Olympics, she has caught the eye of many notable American artists. Jay-Z said, “she is going to be a big deal,” and Alicia Keys has complimented Sandé, saying she is a magnificent up-and-coming artist. She has also had recent guest spots on "The Late Show with David Letterman" and "The Ellen DeGeneres Show." Emeli Sandé has a promising career ahead of her, and she isn’t letting anything stand in the way of her dreams. She’s so talented, and she offers so much variety in terms of jazz, pop and R&B singers in the music biz today. With her new popular single like “Next to Me,” and the uplifting track “River,” College Gloss is looking forward to many hits to come!